Black cats aren't scary, they're fashionable! 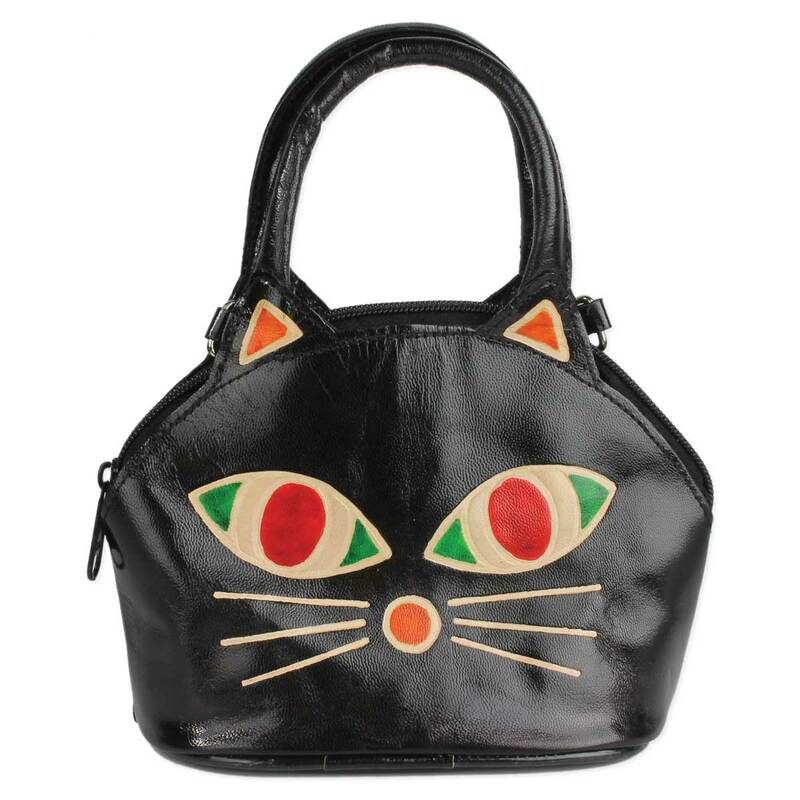 Share your love of cats with this adorable cat face black leather stamped handbag. 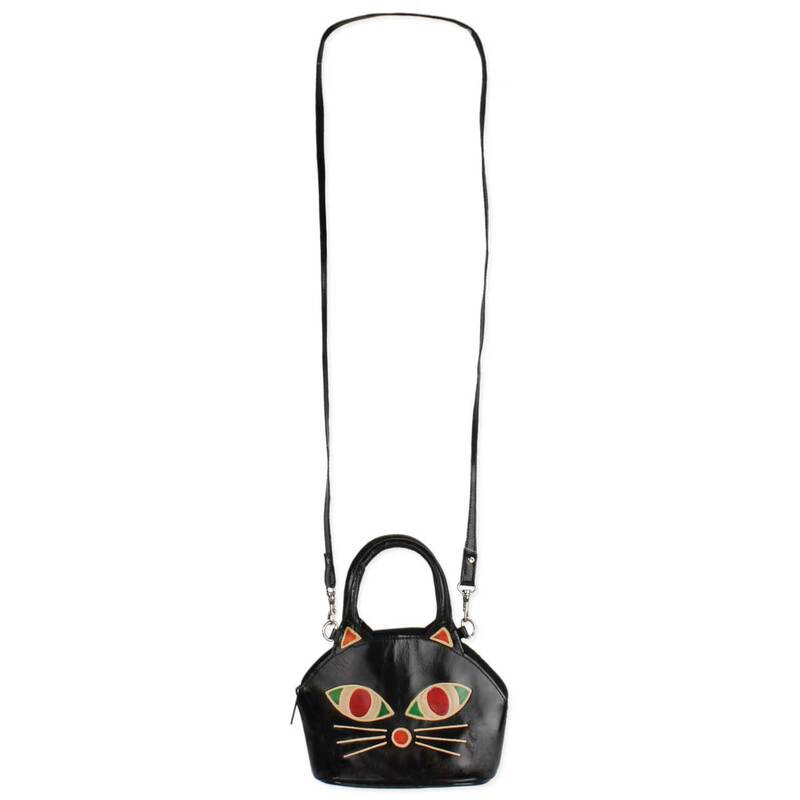 This versatile bag can be used as a handbag on the go or, with the attached strap included, can be worn as a long purse. Black leather bag with red, green and orange accents.